Dare to jump! It’s fun and exciting; all you need is confidence and the will to do it. 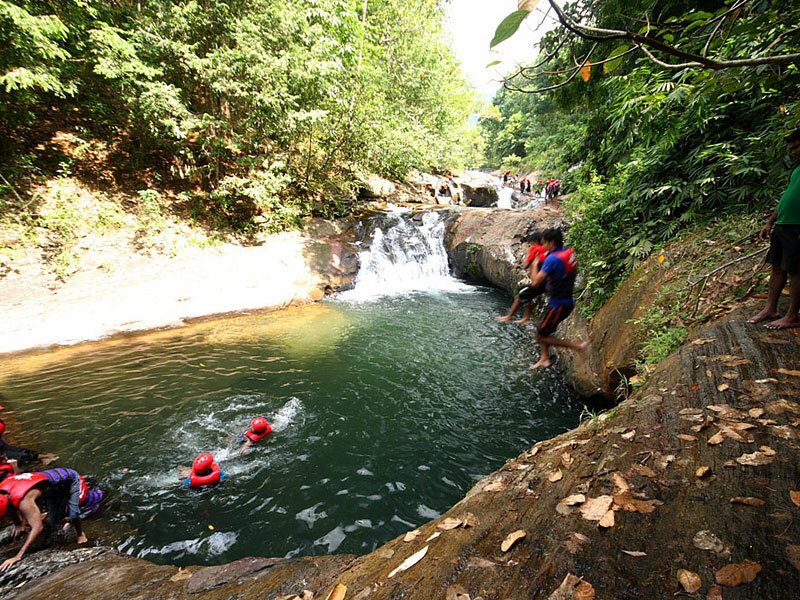 Confidence jump takes place at a seven beautiful natural rock pools at the Kataran Oya just 1.5km from the Adventure Camp. The activities include sliding down an inclined 5 meter waterfall right into the natural rock pool below, certainly with all safety gear in place. Still more you can swim to your heart’s content in the cool, crystal clear waters of the rain forest stream.